The student journalists at the Free Press, the completely student-run newspaper of the University of Southern Maine, are trying to fundraise to be able to afford more and improved resources for our staff. There have been several projects we've been wanting to do this past semester, but do not have the funds to do so as it becomes more and more challenging to find businesses who want to invest in print advertisements. We exist as an educational opportunity for the students of USM to learn about the world of journalism and how a newspaper is made, and with this fundraiser we are hoping to improve their experience at the Free Press. A few projects that we would love to be able to do includes purchasing new cameras for our photographers, funding trips to conferences and seminars for staff members as a learning opportunity, updating our website to increase traffic, as well as others. 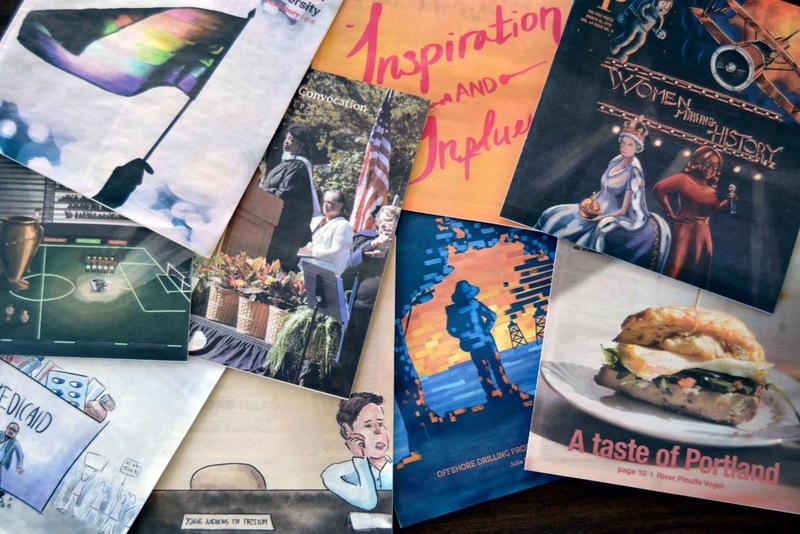 We started this fundraiser as a part of #SaveStudentNewsrooms, a recent movement among student newspapers across the U.S. to advocate for editorial and financial independence among college newspapers. Other college newspapers are struggling financially as well, and most of us have begun our own fundraiser to combat that. We hope that community that the Free Press serves will be willing to help us stay a successful newspaper. The work we do is truly for our readers. A donation of any size would be greatly appreciated. Thank you.